Los Angeles, CA – The Torkzadeh Law Firm (TORKLAW) is offering a $25,000.00 reward to the first person who can provide investigators with credible information that leads to the identification and conviction of the individual responsible for the death of 27-year-old Carlos Ayala of Hemet, CA. 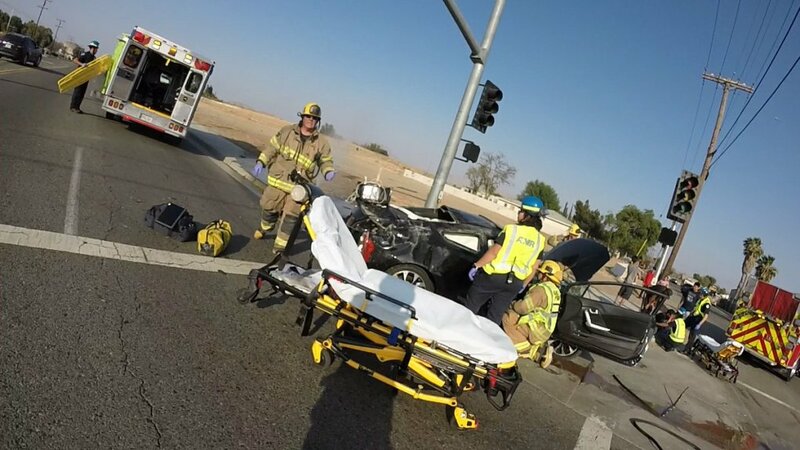 On April 28, 2018, Carlos Ayala was fatally injured in a hit-and-run accident at 28th Street and Rubidoux Boulevard in Riverside, California. Available information indicates that Mr. Ayala was traveling south on Rubidoux in his 2013 Honda Civic, when he was struck on the rear driver’s side by another vehicle traveling in the same direction. The force of the impact caused the Mr. Ayala’s vehicle to flip and roll multiple times, throwing him from the car. Mr. Ayala was pronounced dead at the scene by emergency responders, and two passengers in his vehicle were also injured. The driver responsible for the collision fled the scene without calling for help or rendering aid to any of the victims. Investigators are searching for the driver of the vehicle that was responsible for the accident. Police have not yet been able to identify the driver, but it is believed that the vehicle of interest is a red Honda Civic. Mr. Ayala is survived by his wife Anastacia and their two young children. The family of the deceased has retained TorkLaw as their legal representatives in this matter. In a move to encourage public involvement, the firm of the family’s attorney, Ramin Raiszadeh, is offering a $25,000.00 reward for the individual who first provides credible information leading to the identification and conviction of the party responsible for Mr. Ayala’s death. Anyone with direct information about the incident or the vehicle involved is encouraged to call Deputy Robles of the Riverside County Sheriff’s Department at (951) 955-2600. The Torkzadeh Law Firm is a plaintiff’s-only personal injury law firm that specializes in major accident, catastrophic injury, and wrongful death cases. The firm is headquartered in Los Angeles, CA, and has multiple offices throughout the country.